The CZECH BREWERY SYSTEM company produces and offers all technologies and equipment to production beer. The most of main components is produced in Czech Republic : The wort brew machines, the beer fermentation tanks, fully equipped coolling systems, sanitizing systems, machines to cleaning and filling beer into kegs or bottles, beer serving tanks, equipment for beer dispensing in pubs and in restaurants and we offer many others devices for beer production as well. We offer fully equipped breweries that include of all needed beer production equipment but also particular machines, fermentation tanks, components and support systems. All main components are quickly orderable in default design but there is not problem to deliver also individually equipped machines and equipment defined by customer´s needs. 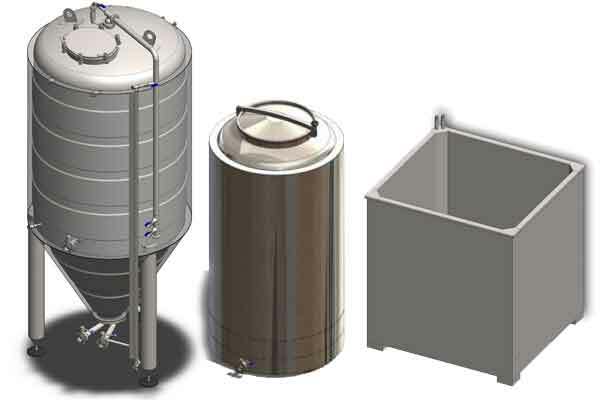 This website includes our main portfolio of the beer production equipment and technologies. You can find here fully equipped breweries, beer fermentors, malt processing machines, sanitizing units and other equipment designed for production beer and manipulation with beer. 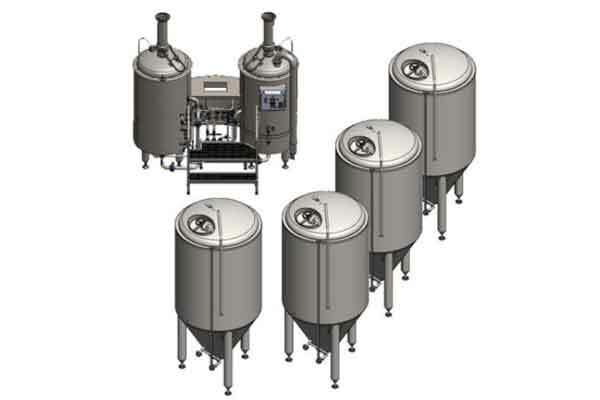 Breweries – beer production lines that include the pre-defined set of equipment to production beer according to required production capacity. 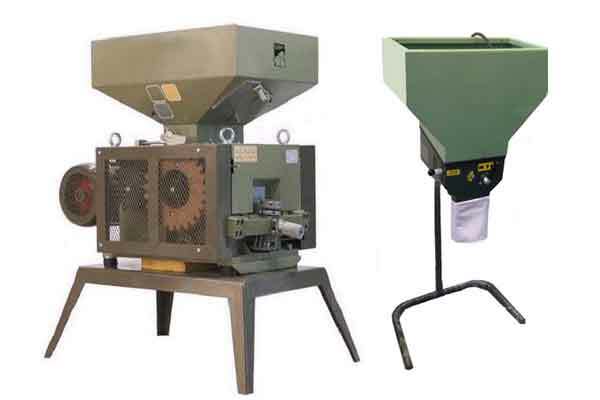 Malt processing equipment – devices needed to storage, transport and squeezing of malt grains immediately before beer brewing proces. Beer conditioning equipment – Equipment for extraction hops into beer, filtration, pasteurization, carbonization of beer and other conditioning beer – the final beer processing. 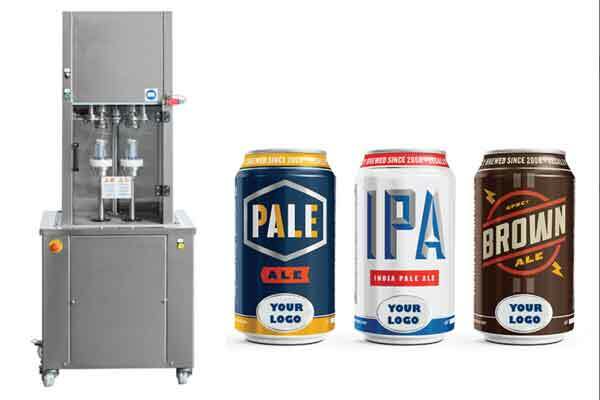 Beer filling equipment – Devices and machines to rinsing bottles or kegs and isobaric filling beer into kegs, bottles, PET bottles, Petainers, cans, bag-in-box. 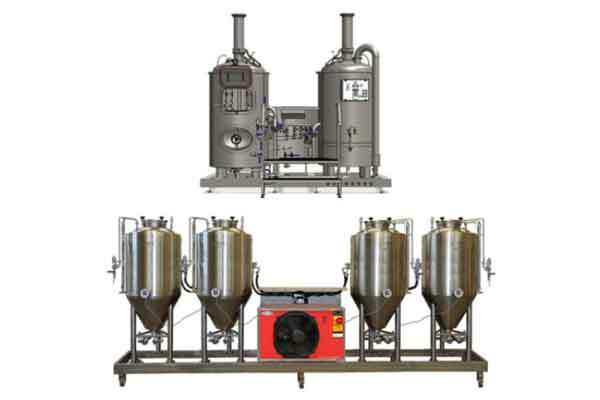 Supporting brewery equipment – Devices to cooling and heating of media, heating of wort, cooling of wort, cooling of tanks, measuring and control systems, machines to cleaning and sanitizing of all brewery equipment, gas systems. 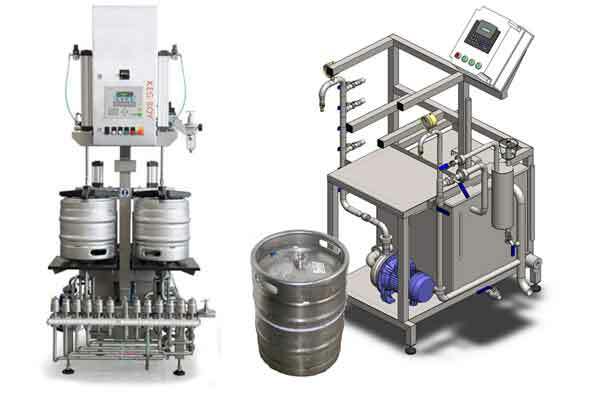 Other special systems in breweries for support of the beer production process. 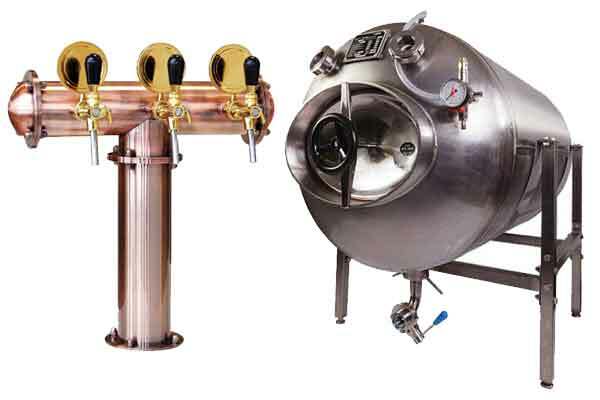 Acccessories for breweries – Equipment for ensuring function of all connections, pipe routes, electric wires, measuring and control of temperatures. Connection fittings and other armatures for tanks, hoses, pipes, pumps, frames and other accessories and parts of the brewery system. 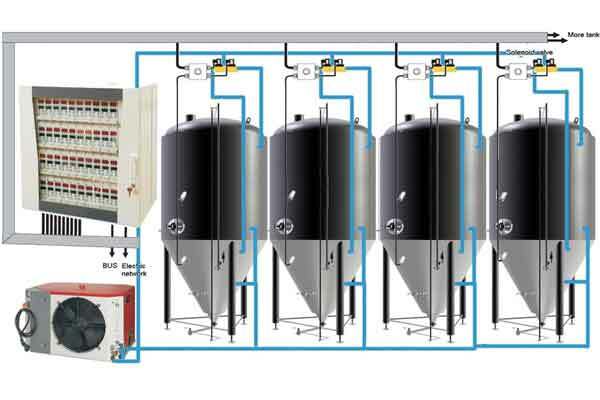 Simple brewery system – fully equipped small and mediu-size breweries for home and restaurants use with production capacities from 10 liters to 1000 liters od beer per day. 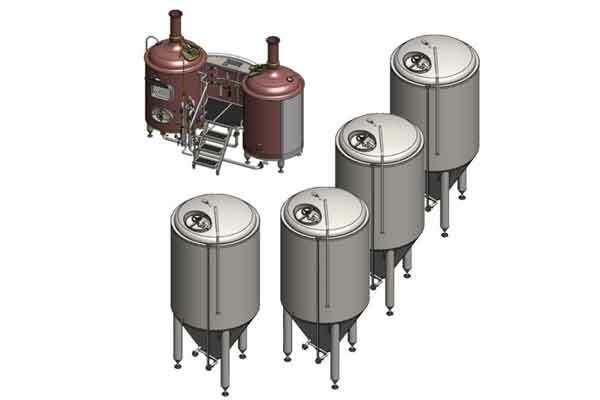 Modular brewery system - sets of the beer production equipment that can be simply assembled and expanded only by customer without our technician specialists. 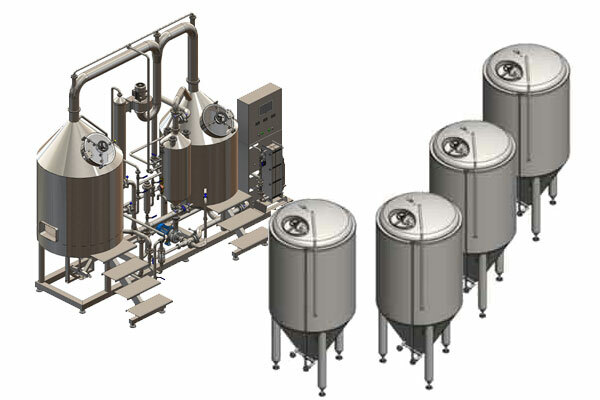 Production lines with a simplified brewing equipment for production of beer only from malt concentrates. Compact wort brew machine allows quick assembly and simple start-up. 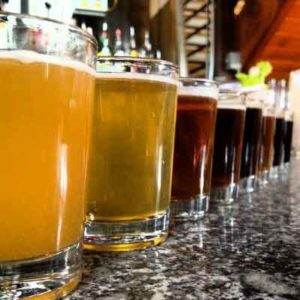 Small and medium craft breweries that are equipped for production of beer from classic ingrediences. Compact wort brew machine allows quick assembly and simple start-up. Craft breweries that are equipped with simplified wort brew machine. Production of beer only from malt concentrates, not from malt. Luxury design is intended for restaurant interiors. Small breweries with traditional historical design of the brewhouse and modern professional equipment to production all known types of beer. Intended for restaurant interiors. 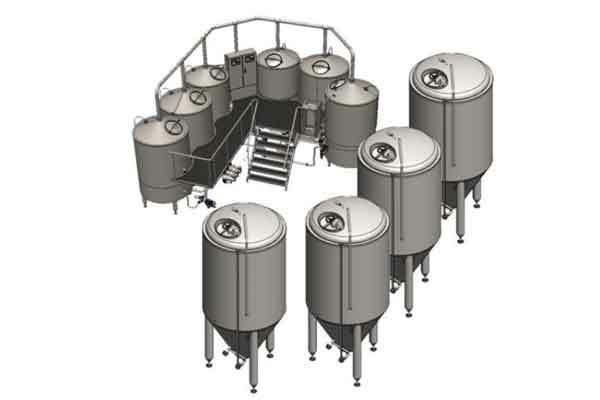 Medium-size industrial breweries with purposeful design of practical brewhouse for production of all known kinds beer. All equipment is designed to be efficiency and performance during the beer production. 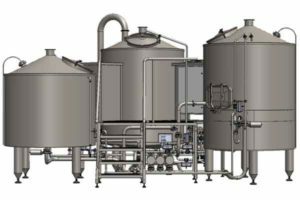 Powerful industrial breweries for large volumes of beer production, with the brew machine that consists of six multi-functional tanks, which allows up to six batches of wort per day to be produced. Machines intended for fine squeezing of malt grains without damaging the outer parts of grain - this is important for reaching of high quality wort. Hoppers for temporary holding of malt grains before their dosing into the malt squeezing machine. Silos for long-time storage malt near a brewery with the malt transport system into the brewery. Equipment for transport of malt grains into the mill and transport of squeezed malt into the brewhouse. 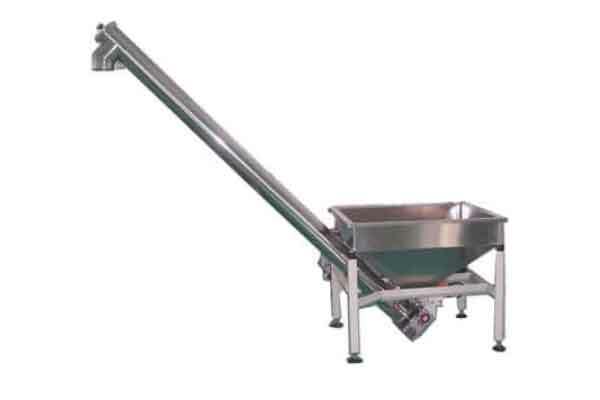 It is also use for transport of used malt mash to waste vessel. Main brewery machines - their function is the production of wort from malt, hops, water. 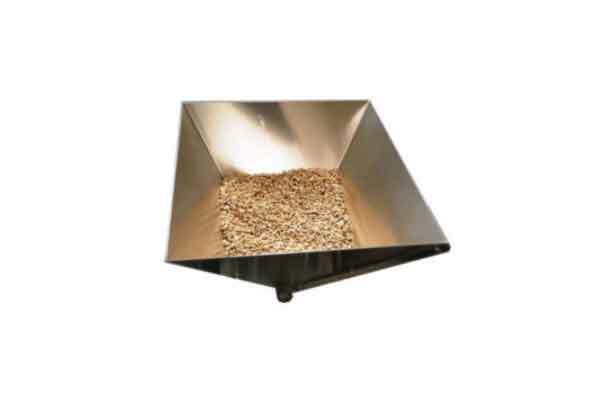 Malt is extracted and boiled into hot water, then is filtered and boiled with hops. Equipment for the cooling and aeration of wort after wort brewing process before start the beer fermentation. 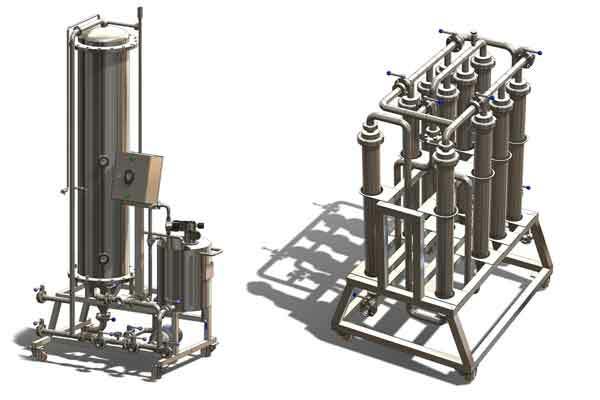 Compact wort coolers and aerators, plate heat exchangers. 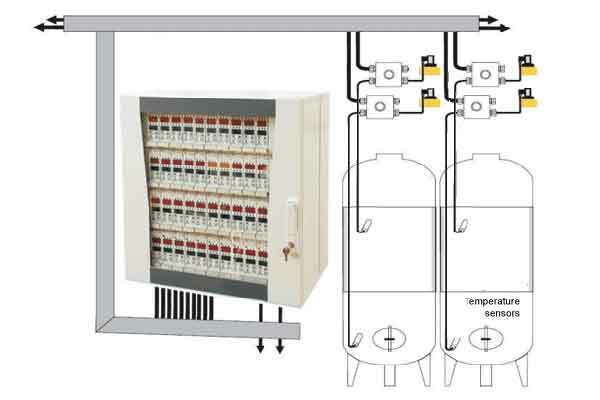 Equipment to heating wort and drinking water before and during the wort brew process. 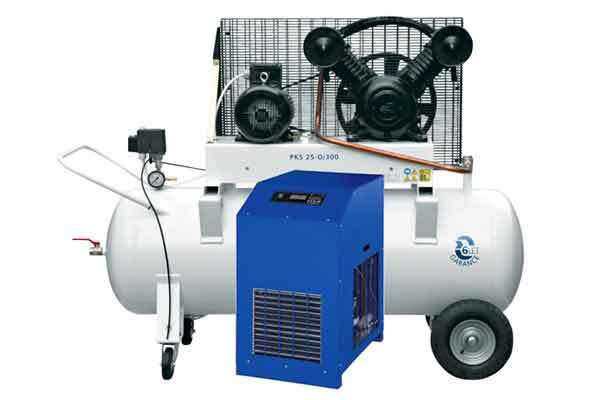 Hot steam generators, electric and gas heating systems. Water system includes the water treatment equipment, hot water tank, cold water tank, cooling and heating equipment, pumps and the pipe routes. 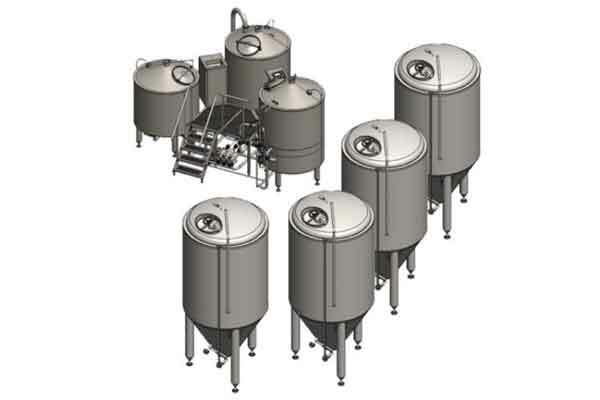 Non-pressure vessels for the primary beer fermentation process (main beer fermenting) . Open fermentation vats, cylindrical fermentation tanks, conical fermentors. 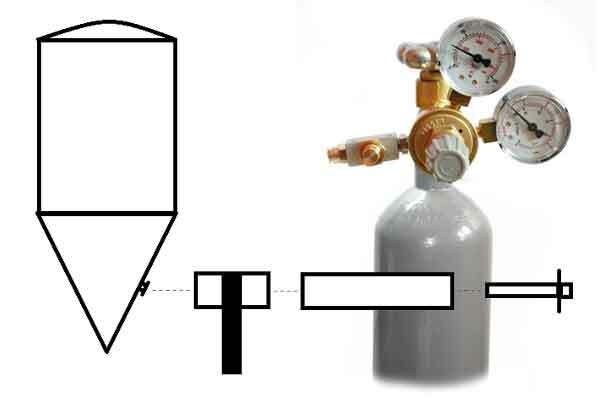 Pressure vessels for the secondary beer fermentation process (beer maturation, carbonization) . Cylindric-conical fermentation tanks, cylindric fermentors, special fermentation vessels. 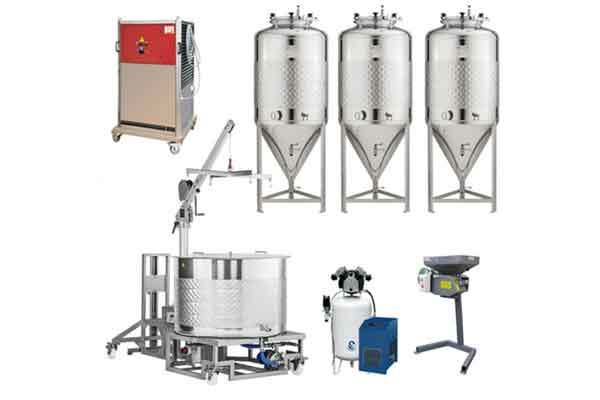 Fully equipped sets of devices for the beer fermentation and maturation in the same tanks. 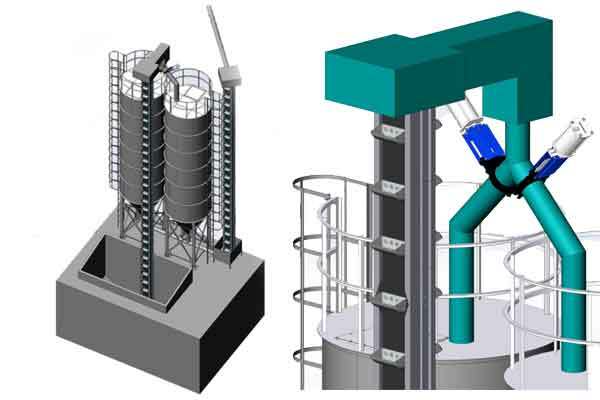 The sets include cylindrical or conical fermentors and equipment for controlled cooling of the tanks. 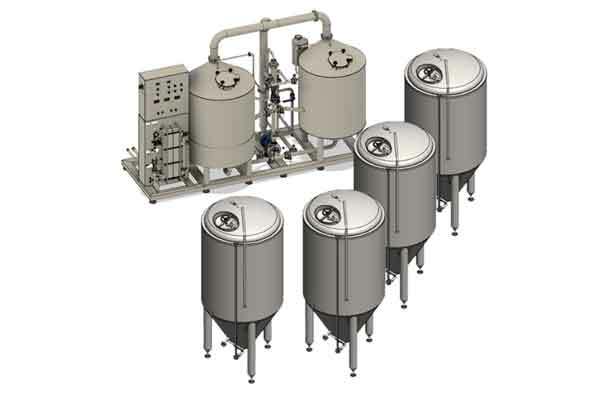 Special vessels to storage, revitalization, collectioning and dosing of the brewer´s yeast. 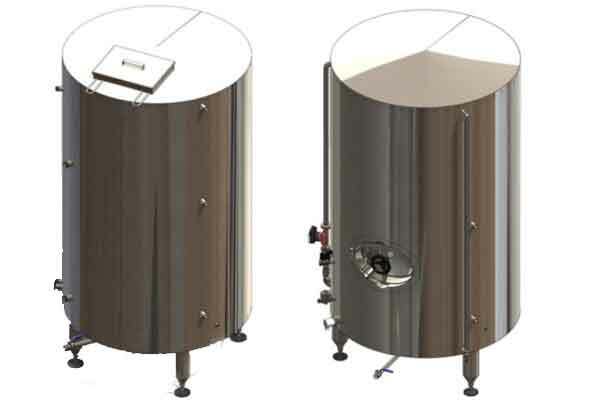 Yeast storage and regeneration tanks, yeast propagation stations. 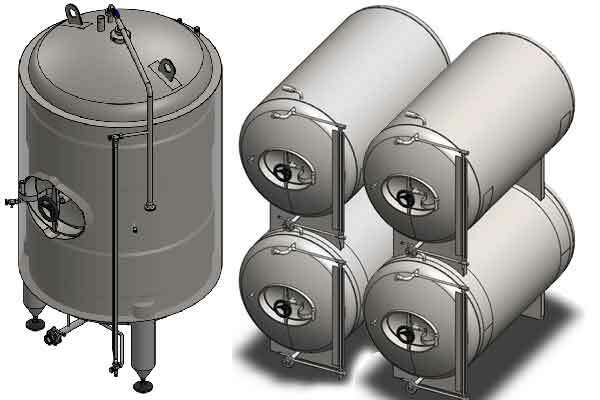 Pressure tanks designed to final conditioning of beer like carbonization, extraction of hops into beer, filtration or pasteurization of beer. Bright beer tanks. 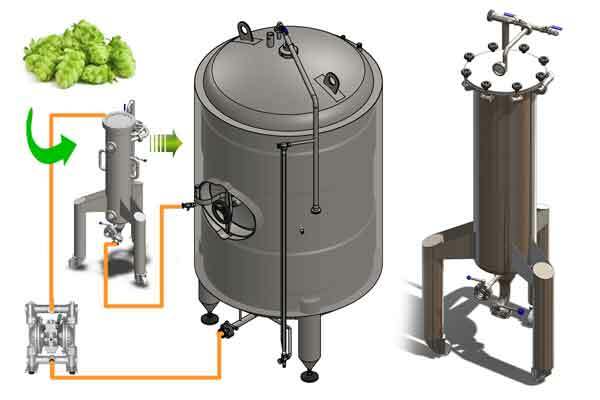 Equipment for extraction aromatic active substances from hops into cold beer (dry hopping) – an infusion of hops to cold beer after finalizing the beer fermentation process. Equipment to carbonization of beer inside the pressure beer conditioning tanks. Carbonization of beer in the pipes under pressure. Equipment to beer filtration – plate filters, kieselguhr filters, beer microfiltration. 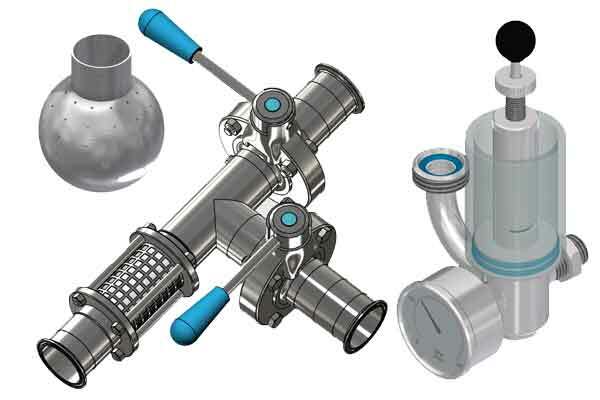 The beer filtration is a mechanical removing yeast from beer to reach a long-time beverage stabilitation. Equipment to beer pasteurisation. 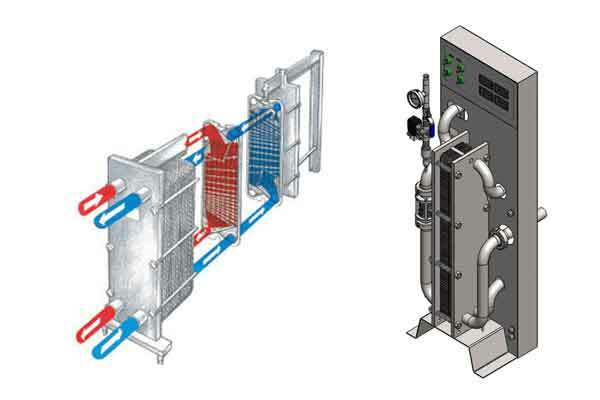 Cabinet, bath and flow-through pasteurizers. 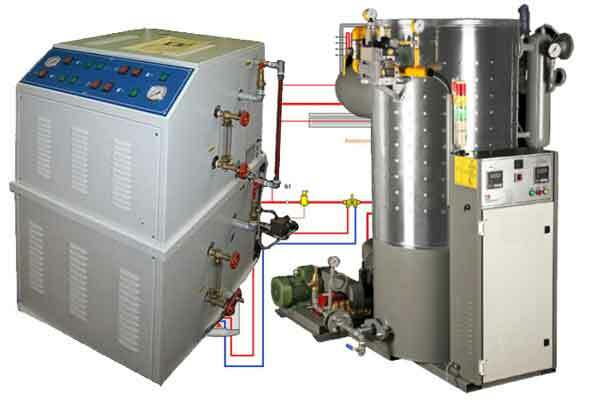 The beer pasteurization is a thermal beverage conditioning to reach a long-time beer stabilitation. 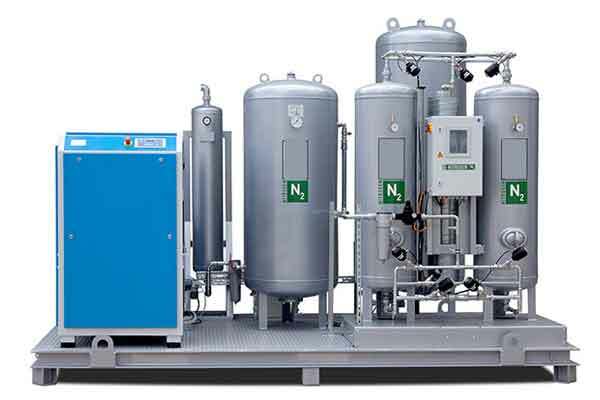 Equipment to rinsing of stainless steel kegs, sanitizing of kegs, isobaric filling of beer into stainless steel kegs. Manual and automatic machines for the kegs filling. Equipment to filling of beer into plastic kegs - petainers. 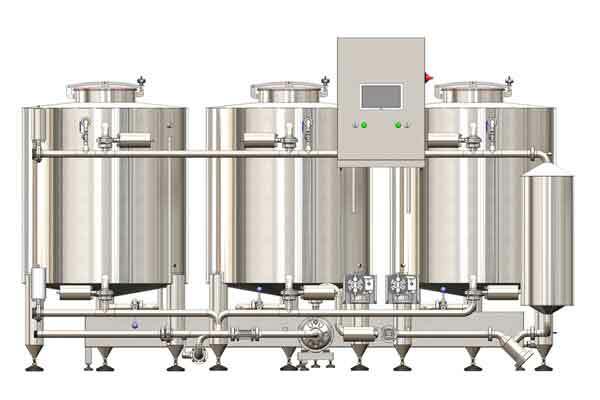 Manual and automatic equipment and machines for the filling beer into petainers. 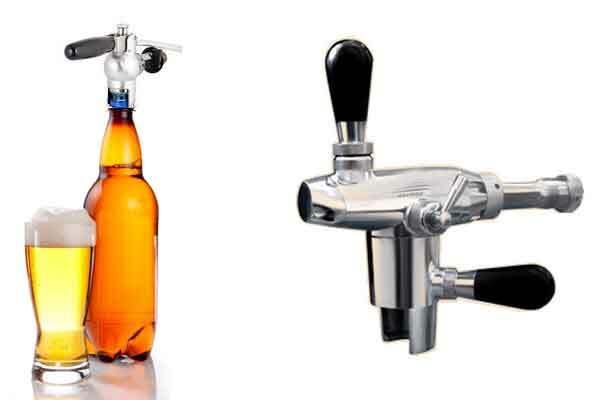 Equipment to filling of beer into aluminium cans and closing of the cans. 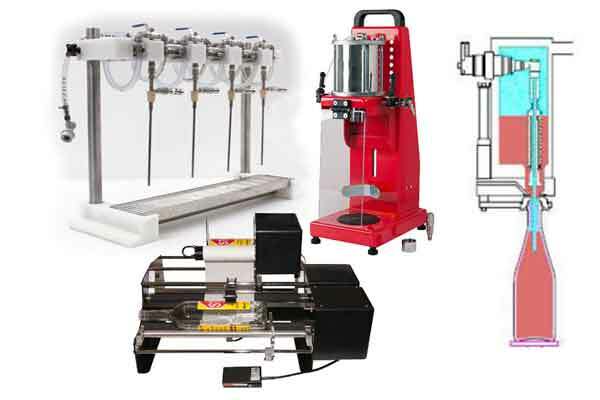 Equipment to rinsing of glass bottles, isobaric filling of beer into glass bottles, machines to closing and labelling of bottles. 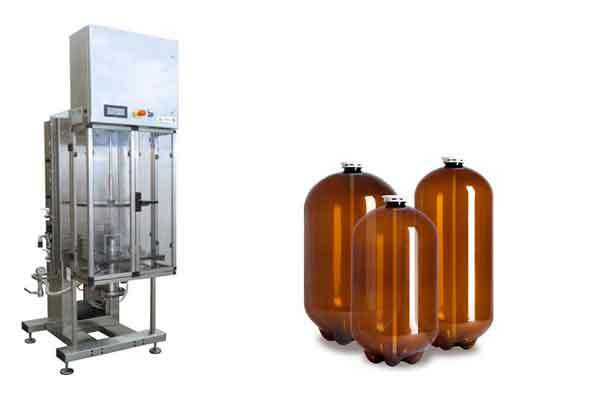 Equipment to filling of beer into plastic bottles - PET. Manual and automatic equipment and machines for the filling beer into PETs. The cooling system includes all equipment needed to cooling wort, fermentors, water, beer, beer tank. 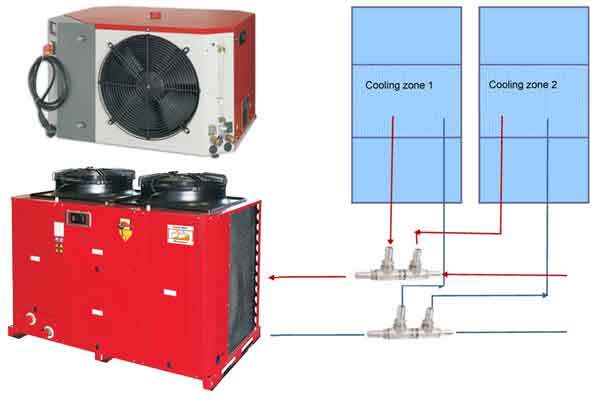 Cooling units, glycol tanks, heat exchangers, cooling control systems. 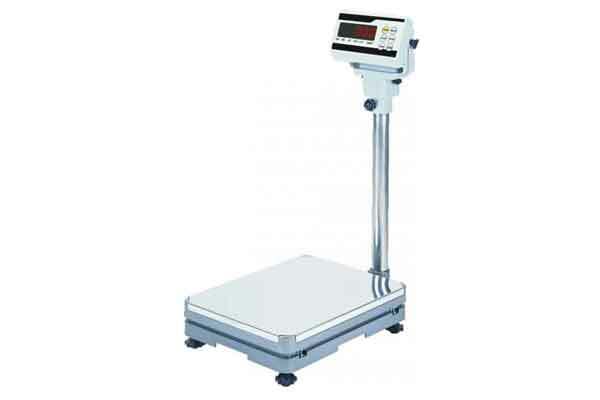 Equipment to measure temperatures, programming and control all devices to production of wort and beer, fermentation control systems etc. Equipment to cleaning, sanitizing, sterilization of all beer production devices like brewhouse, fermentors, pipes, beer storage tanks. Tanks to storage beer in pubs and restaurants, rquipment to dispensing beer into glasses, cooling and transport beer before serving. 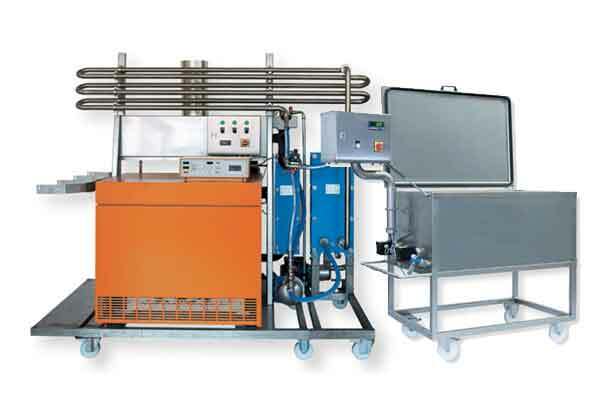 Equipment to cleaning, drying and preparation of sterile compressed air to control of pneumatic valves and aeration of wort. 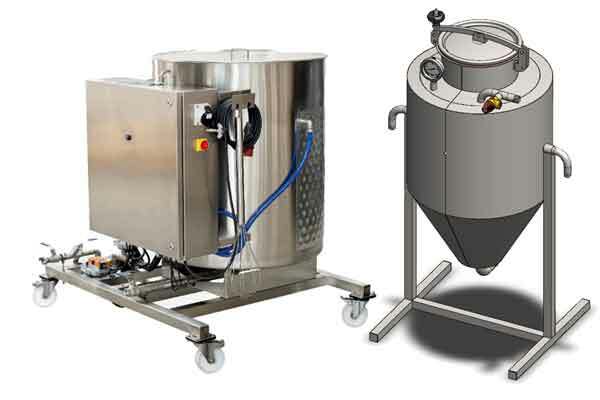 Equipment to cleaning, drying, compressing and distribution of sterile compressed nitrogen to pushing beer out from the beer tanks and fermentors. 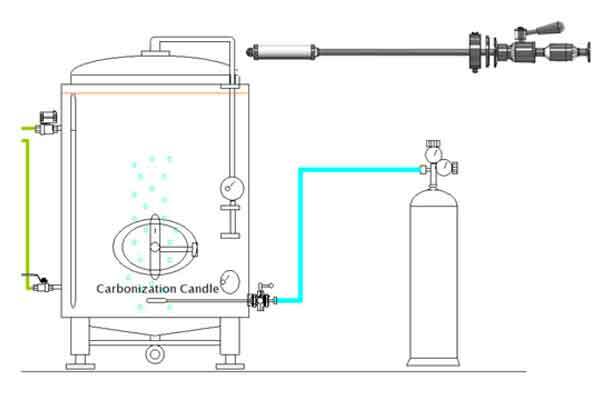 Equipment to dosing, reduction, distribution and use of carbon dioxide in breweries. Carbonization of beer, pushing beer from the tanks etc. 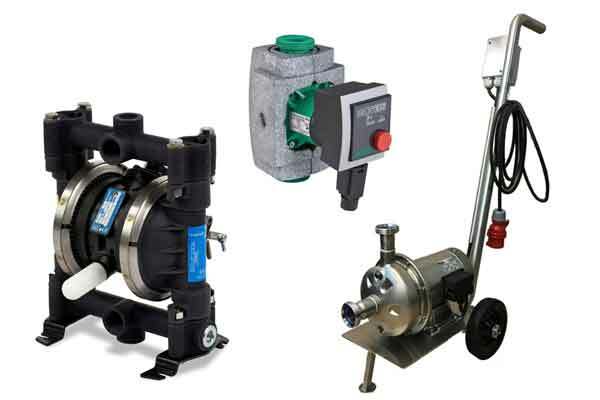 Equipment to pumping of wort, malt mash, beer, water, sanitizing solutions, waste water, coolant in cooling systems in breweries. 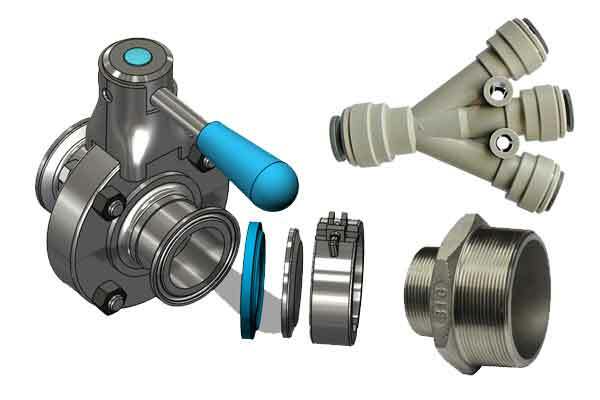 Pipe fittings, connection elements, regulation mechanics, manholes and special armatures for tanks, hoses, pipes, cables, frames and other connection material. 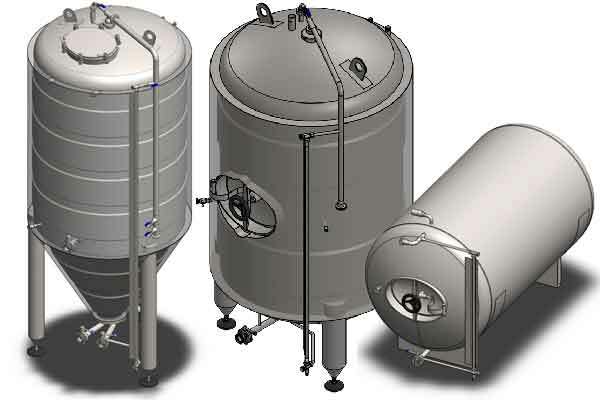 Optional fittings, armatures, accessories and special equipment for beer production tanks.